The Dallas Cowboys have several important decisions to make this offseason as they approach free agency and the draft. Will they make a splash and be spenders this year with high priced players like Earl Thomas and Landon Collins available? Will they continue to go the conservative route and resign their own players and just get their toes wet in free agency? The first question we have to answer as the Dallas Cowboys begin roster building is which of their expiring contracts will they look to bring back for the 2019 season and beyond? Below are each of the Dallas Cowboys free agents heading into the offseason and a "confidence rating" describing how confident I am that they'll return to the Dallas Cowboys for 2019. It's a 0 ✭’s means I don’t believe the player will be back. Five ✭’s means I’m locking them into the 2019 depth chart right now. When Stephen Jones and Jason Garrett both say that getting a long-term deal done with DeMarcus Lawrence is a high priority, you can bet that they are going to do everything they can to get a long-term deal done with DeMarcus Lawrence. The only question here is whether they'll have to use the franchise tag on Lawrence or not. Their hope is to get a contract done for Lawrence prior to the free agency period opening. They wouldn't want Lawrence to get to free agency where teams like the Indianapolis Colts -- with nearly twice as much cap space as the Cowboys -- could make Lawrence an offer he can't refuse to upgrade their pass rush. This is where the franchise tag comes in. If they use it, they get to spend the Spring negotiating with their Pro Bowl defensive end. Lawrence proved last year that he's willing to play on the franchise tag and if they weren't able to come to a contract agreement, would likely do the same this year. DeMarcus Lawrence is coming back. Some are misunderstanding my point. EVERY team's gameplan in pro sports is dictated by the front office. Big free agent additions, high draft picks, etc are going to get the most opps. And I'm not mad at that! Lol I just want to help my team win. All good players want the rock. This makes much more sense than the Cowboys front office is telling the coaches who to get the ball too, though I still disagree. Amari Cooper operates in similar spots to Cole Beasley and with Dak Prescott's penchant for spreading the ball around, it means some games, one of their better receivers may not get the ball. See Amari Cooper for a couple games down the stretch. Do I believe that Jerry Jones or Stephen Jones were telling the coaching staff where to focus in the passing game? No and neither should you. Do I believe that he was somewhat phased out of the offense? Yes. Even the casual fan could see that the Cowboys passing game didn't really look Beasley's way much through the first 58 minutes of games. When the Cowboys went hurry-up, which allowed Dak Prescott to manipulate the play call, Beasley was much more involved. Before he made those comments on Twitter on Tuesday, I would have put the odds at a return at about 50/50. He wants more opportunity, and perhaps the new offensive coordinator can sell him on more opportunities in 2019. 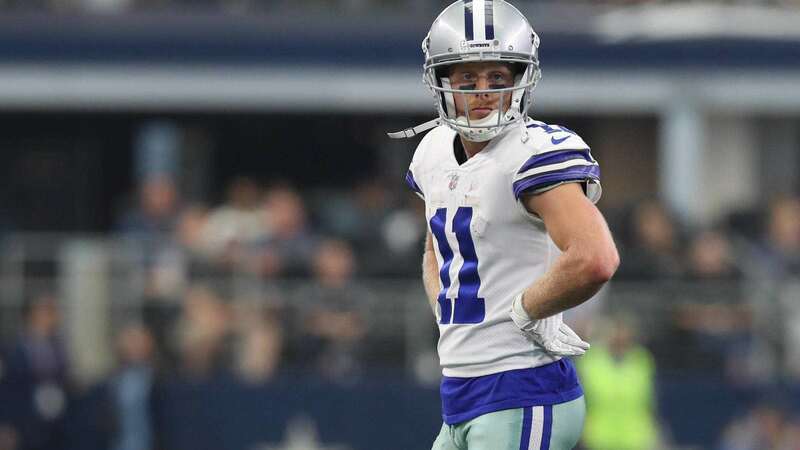 Cole Beasley is still an excellent wide receiver, but he'll turn 30 in April and if past history suggests how the Cowboys will approach Beasley, then he won't be back. They don't like to pay age. Tavon Austin was the epitome of Much Ado About Nothing this season as he came in with a ton of hype but had a really hard time living up to it because of usage and injury. Austin played only 115 snaps on offense and 26 snaps on special teams this season. That's less than Deonte Thompson who was only with the team for half the year. Austin only played in 10 games this season and caught only eight passes on 13 targets. He did have two touchdowns and averaged 17.5 yards per reception, but the Cowboys never fully committed to using him in the offense and so his impact was limited. On special teams, the coaching staff didn't trust him enough as the full time kick or punt returner. He showed what he's capable of in the playoffs when he hit a couple big returns against the Seattle Seahawks -- though one was called back by a penalty. Geoff Swaim's 2018 season got off to a pretty good start as the starting tight end for the Dallas Cowboys. Sadly it ended with him going on IR and the two tight ends behind him, Blake Jarwin and Dalton Schultz emerged in his absence. The Cowboys are looking toward the NFL draft with sites set on a deep tight end class that has a lot of really intriguing options in the top 100. Swaim is a team favorite. A guy who will do what's asked in both the passing game and the running game. I can see a scenario where they bring him back to fill out their tight end room, if the money is right, and draft a player to develop. As in everything in free agency, it depends on the money. Cameron Fleming was an important offseason signing in 2018. After the debacle of 2017, highlighted by the Atlanta Falcons game where Dak Prescott took eight sacks, they needed to do something. Neither Chaz Green or Byron Bell could block anyone that day, which led to Dak Prescott not trusting his protection, even in the early part of this season. The Cowboys had to shore up their depth at tackle in the event that Tyron Smith missed games, which he did. They should look to bring Fleming back on a one to two year deal to continue being the swing tackle. Fleming may want to go find a starting job and there will likely be options out there for him if he wants him, but I'd be going a bit above market value on a contract to bring him back as Tyron Smith has missed games in each of the last three seasons. Having a tackle who can play both sides of the offensive line and play with some effectiveness is important. I've long been an advocate for having David Irving a part of the Dallas Cowboys because he possesses elite traits as a 3-technique defensive tackle. The problem is that he was absent for much of the season, first because of a high ankle sprain he suffered after coming back from his suspension and then because of personal reasons. Owner and General Manager Jerry Jones has long taken chances on troubled players who have ability, to give them an opportunity to turn their lives around and to this point. Whatever's going on in his personal life has kept him away from the team for the vast majority of this season, leaning many to question if David Irving even wants to play football. Based on talent alone, I'd bring him back, but at a one year incentive laden contract. Damien Wilson isn't the best linebacker in the world, but as a Strong side linebacker, he's pretty effective. He's good at setting the edge in the running game and offers some pass rushing ability as well. Wilson was second among linebackers for the Dallas Cowboys with 4 total pressures and tied with Sean Lee for second at the position in sacks with one. Wilson isn't someone you want playing a major role in nickel or dime packages, but he brings something to the table on early downs and helps you on special teams. If he wants to be back and the money's right, I would think the front office tries to bring him back. He's a good fourth or fifth linebacker for your squad and they like to resign their own guys, but they could also look to the draft to fill his role. Running back Rod Smith isn't the most explosive number two running back in the NFL, but he's been a solid contributor who averaged 2.6 touches per game. He played a lot on special teams and that matters to the franchise. I believe they look to draft a running back this offseason, but that shouldn't preclude them from resigning Smith. There are a lot of big names in the running back free agent market this season and so there may not be a lot of money or opportunity to find more of a role elsewhere. Do the Dallas Cowboys even know how to use a full back. Jamize Olawale only played 10% of the snaps this season. The only players to play fewer than Olawale were; Noah Brown, Adam Redmond (reserve guard), Terrance Williams (injured reserve after week three), Darius Jackson (end of season practice squad call up), Lance Lenoir (end of season practice squad call up), Jourdan Lewis (defensive back), Cooper Rush (back up quarterback), and Brice Butler (only played three snaps before being released week 3). This team doesn't value a full back and doesn't use one much either, therefore they shouldn't really have one. They can use Dalton Schultz in an h-back role that does some lead blocking for Elliott, or draft a tight end to fill that role. After DeMarcus Lawrence, what happens with L.P. Ladouceur is the most concerning free agent for me. 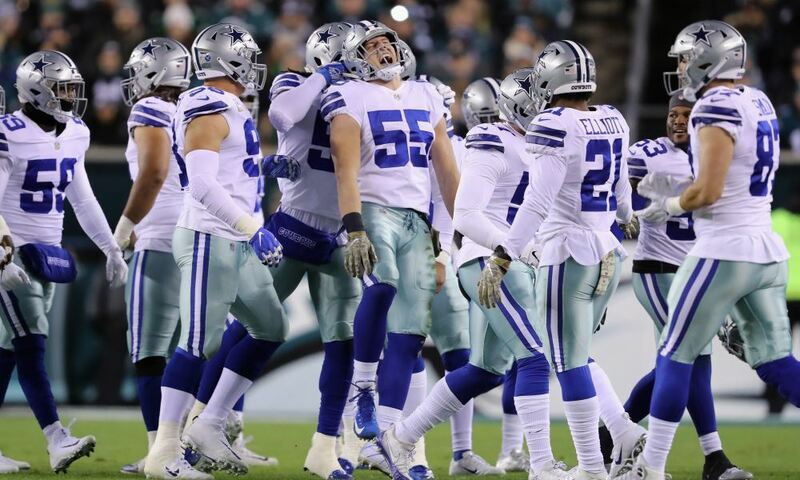 The long-snapper has been with the Cowboys since 2005 and has snapped in 221 games for them. In all those years watching the team, I can't remember a bad snap. Ladouceur will turn 38 in March, so the question, as it was last offseason is more about if he wants to keep playing or not. The Cowboys will want him back and if he wants to play, he'll do so with a star on his helmet. Eventually, every player runs out of steam for the grind of an NFL season. Defensive Tackle, Daniel Ross was effective on a limited basis for the Dallas Cowboys. He provided some penetration at the 1-technique defensive tackle position and finished the season with 14 tackles, one sack, three tackles for loss, ten total pressures, eight stops (according to Pro Football Focus) and seven quarterback hits. 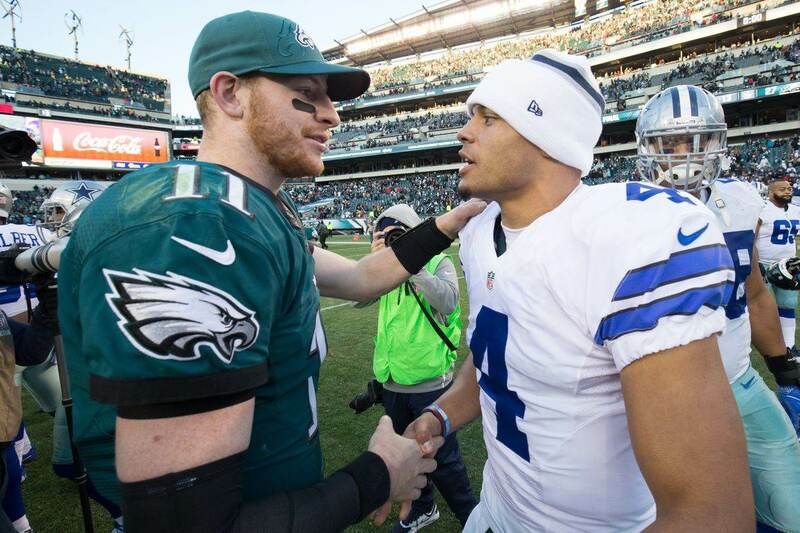 For the Cowboys and Ross it will be about the money. They like him as a reserve defensive tackle. Caraun Reid had a similar season to Daniel Ross this offseason. Seldom used, but effective at times at stopping the run and generating pressure from the Dallas Cowboys interior. He finished the season with 10 tackles, 0.5 sacks, one tackle for loss, three quarterback hits, nine stops, and 10 total pressures. Age will be a bigger factor heading into his contract negotiations as he'll turn 28 next November. If it were to come down to Ross or Reid, I believe they'd opt for the younger of the two, that being Ross. Prior to being put on injured reserve in week four of the NFL Season, Datone Jones had only played in one game. He played five snaps against the Seattle Seahawks and didn't record a stat in that game. Datone Jones will be 29 in July and will likely be on his way out the door. The Cowboys will look to add a defensive tackle in the draft. This team likes Justin March-Lillard and his ability to play both the middle and weak side spots at linebacker. 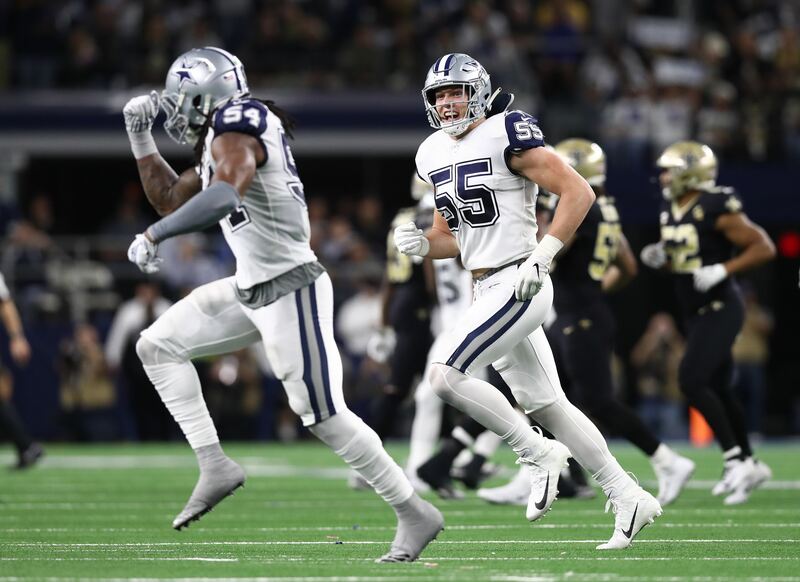 He's a developmental project who could earn more of a role this season if the Dallas Cowboys resign him and the likelihood that Sean Lee will no longer be on the roster. Marcus Martin is a developmental depth player for the Dallas Cowboys who had to be put on IR week one of this season. He's only 23, but with Connor Williams likely staking his claim at left guard, Patrick Ehringer back next season to add depth on the interior and Xavier Su'a Filo still under contract for the 2019 season, the Cowboys will likely move on from Marcus Martin this offseason. Darian Thompson was on the active roster for 10 games in 2018, but didn't record a single stat. He played only one snap on defense and 54 snaps on special teams. Safety is a high priority this offseason as they look to solidify their defense with either a big name free agent target or through the draft. Thompson will be moving on. A lot of decisions still have to be made as the Cowboys front office lays out their game plan for how they’ll improve the roster over the next five or six months. Like the NFL season is a grind, the offseason is as well. When it comes to the Dallas Cowboys, there will be no shortage of rumors, reports, and breaking news. Stick around Inside The Star for all the latest in Dallas Cowboys news and analysis.